5.7-inch multi-function display, integrated navigation, audio system, heated seats, hill start assist, tyre pressure monitor, anti-theft alarm and more. BMW Motorrad recently launched the K 1600 B in India. The full-sized luxury touring bike is one of the very few of its kind available in India, and suits its place in the biking world with a host of technology on it. BMW's primary focus is on luxury and comfort, and that coupled with its grand tourer bearings, makes for a quite enticing overall package. Built in between the classic, old school speedometer and tachometer, the BMW K 1600B integrates a 5.7-inch TFT multi-colour display, which is similar to Harley Davidson's retro-fitting Boom! Box bike infotainment unit. Touchscreen inputs are avoided here to minimise distractions. However, the system offers a full suite of connected services, which include wireless sync with your smartphone, wireless pairing with headphones or routing audio through the integrated speakers on the bike, a multi-controller to operate the system, a menu guidance system, integrated satellite-linked navigation and seamless calling and message readout via voice assistance. This interface, just like in a car's infotainment setup, can be used to enable and control the other features of the bike, which include safety features such as central locking, anti-theft alarm, keyless ignition, daytime running lights, hill start control and tyre pressure control, clutchless gear shifts and seat heating. The technology package is in line with other similar tourers, like the Indian Roadmaster Classic. 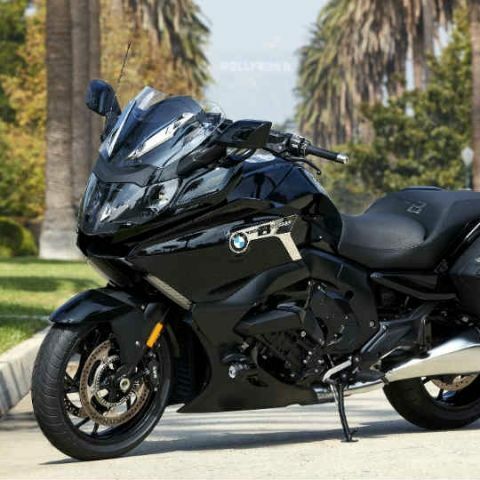 The BMW K 1600 B is powered by a four-stroke, six-cylinder inline engine producing 160bhp peak power at 7750rpm, and 175Nm peak torque at 5250rpm. The power can be optimised with multiple riding modes, which include 'Rain', 'Road' and 'Dynamic', further coupled with Dynamic Traction Control to maximise safety. Just like any grand tourer, the K 1600 B also comes with additional seat padding for both rider and pillion, and a host of storage options. The BMW K 1600 B Bagger is now available across BMW Motorrad stores in India, and is priced at Rs. 29,00,000 (ex-showroom, pan-India).